Congratulations to our MYP 5 (Year 11) students for the outstanding results achieved in the IB MYP eAssessment 2018. We are proud to announce that our students achieved an impressive average score of 41 points (of 56 possible maximum) when compared to the world average of 32.65. Our top scoring candidate achieved 54 points (of 56 possible maximum) followed by next highest of 53 and 51. 89% of students have been awarded the MYP Certificate. In Personal Project (the only compulsory subject for all MYP students worldwide), there was one 7 (maximum possible) and nine 6s. 78% of our students scored a 5 or above for this subject. Chatsworth average grade was 5.06 as compared to 3.76 worldwide. 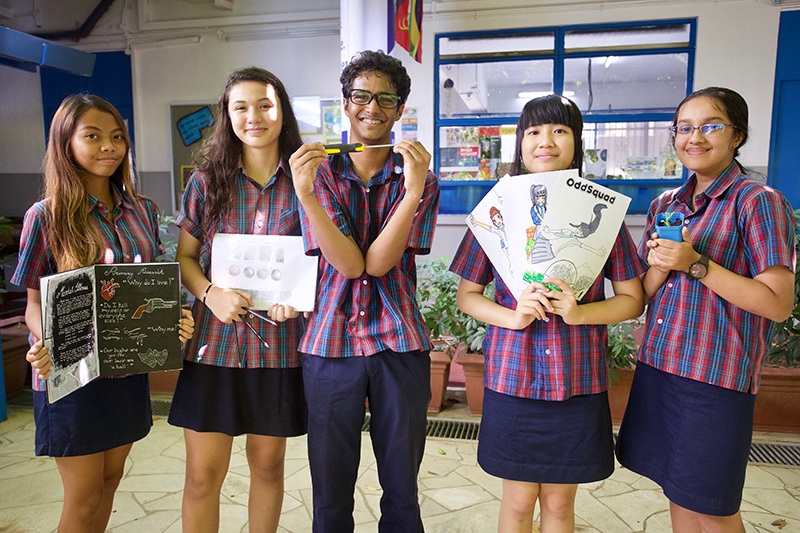 In Music and Visual Arts, all our students scored a 6 or 7. There were two bilingual certificates achieved. As a way to recognise and celebrate our students' academic performance, Chatsworth offers a 100% scholarship for our two-year IB Diploma Programme for eligible students, internally and externally. We are delighted to share that our top internal candidate of the MYP eAssessment has been awarded the IBDP Scholarship. We wish all students the very best as they continue their journey towards the IB Diploma and Chatsworth High School Diploma. Chatsworth is presently one of only two international schools in Singapore to have our students sit for the full MYP eAssessment. The MYP eAssessment is a reliable, globally consistent and highly innovative assessment model that helps achieve greater student outcomes and provides greater quality assurance and recognition for International Baccalaureate (IB) World Schools.